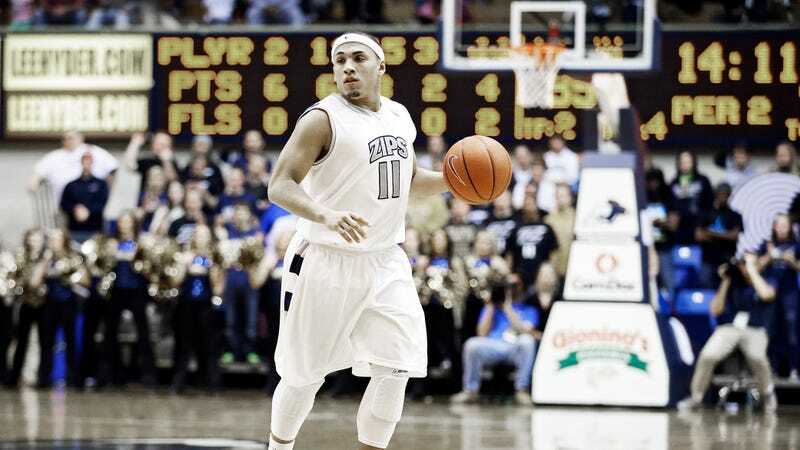 The Akron Zips will be without the services of starting point guard Alex Abreu after the All-MAC junior found himself in jail today facing multiple felony charges. The Akron Beacon-Journal reports Abreu was arrested today after accepting a "large" shipment of marijuana from undercover officers who detected the package using drug dogs. A search of the Akron Municipal Court records shows Abreu was charged today with two third-degree felonies of drug trafficking and drug abuse. In Ohio, third-degree marijuana trafficking is charged when the amount in question is between one and five kilograms. The third-degree felony charge of aggravated possession includes "a presumption for a prison term." Abreu's been suspended indefinitely. Akron is 24-5 and at one point held the nation's longest active winning streak at 18 games; the MAC regular season champs are most pundits' pick to represent the conference in the NCAA tournament.